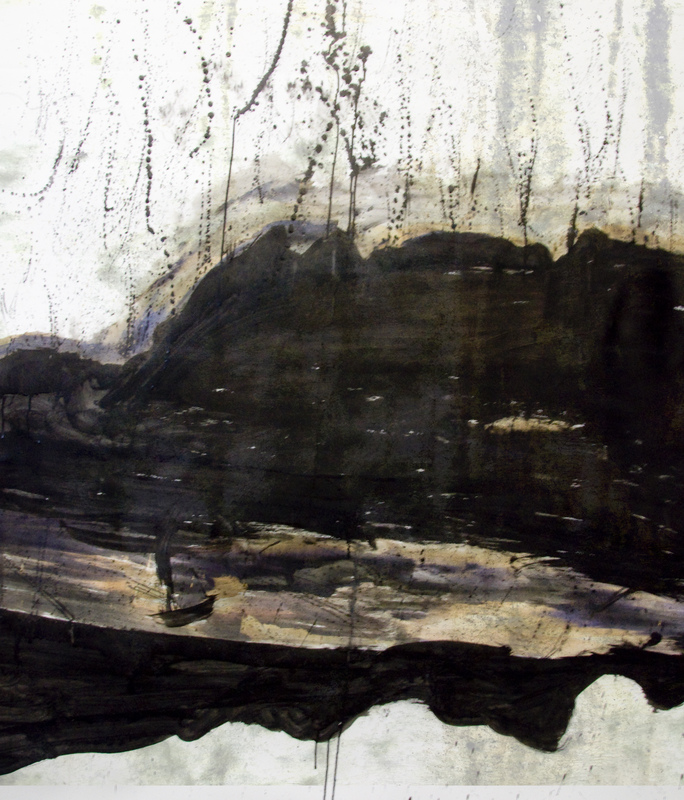 Burren Explosion was originally 150cm wide and worked onto Fabriano paper with black ink and bleach when Kitt was in the Burren College of Art during the summer. With photographs of the walls of the small tower on the property, Kitt explored the qualities of colour, pattern and years of mildew. She later overlaid her ink painting with a clear image of the walls texture and combined both to create this fine art print on Hahnemuhle archival paper. The basis of Serena Kitt’s Practice is to unite photography and painting and combine a unique artwork process. Kitt fuses her paintings and drawings together with my fine art photography to give an ethereal quality to the work.